Planning for your next holiday in 2019? Here are some of the latest Jetstar flight deals and promotions to help you save on airfare. Conditions: Promo prices are available until sold out. Prices are valid as of 25 February 2019 and may not always be available. Bookmark this page – we’ll be updating it regularly! One of Jetstar’s most popular routes, Bali is a destination not to be missed by any kind of traveller, the idyllic island of Bali promises sandy beaches, intricate rice terraces, holy temples and ancient cultural villages. Also known for its volcanic mountains as well as meditation retreats, the effortless beauty of Bali will leave you with the fondest memories. Prices for Bali flights spike in February and the cheapest months to find deals are from March to January, where the average price is $125 as of January. The spectacular little city of Taiwan begs to be explored time and time again. Beaches, lakes and national parks conjure up its natural charms while towering skyscrapers and monumental buildings give the city a contemporary touch. The fusion between Chinese, Japanese and Western cultures not only results in its eclectic cuisine, but also in its eminent role as a living museum. The cheapest month to book flights to Taipei is August where prices average at $181 as of January. Tickets are most expensive in February. Bangkok’s street scene will leave urban explorers in awe, offering you the best experience from dawn to dusk. As a metropolis, the unrivalled choice of street food makes it the best place to taste authentic Thai cuisine from various parts of Thailand. The enigmatic temples, skyscrapers, and ancient ruins add to the charm of Bangkok, a city that truly never sleeps. The best month to get a flight deal to Bangkok is in March where flights can go for as as low as $127. The striking amalgamation of cultures in Kuala Lumpur is fascinating, evident in its sprawling hawker centers and everyday life. Well-preserved colonial buildings, majestic religious sites and enormous skyscrapers makes the city an architectural wonder. The significance presence of well-constructed green spaces consisting of lakes, botanical gardens and eco parks further accentuate the beauty of KL, as the locals call it. Kuala Lumpur flights are at their cheapest in July where prices average at $56. The lively and densely-populated city of Hong Kong will surprise you with its diverse culture, tourist attractions and endless shopping options. As the city with the most number of skyscrapers in the world, Hong Kong fascinates travellers with its city view. Its versatility can be seen in its breathtaking harbour and islands, urban hiking trails and world-class theme park, attracting many kinds of travellers. The cheapest month to book flights from Singapore to Hong Kong is in April where the average return flight deal is at $195. Melbourne’s charm lies on its picturesque, European-influenced city landscape, where heritage buildings and modern skyscrapers rise in a beautiful contrast. Also an important hub for culture, Melbourne’s diversity can be seen in its food and architecture. Whether it’s sipping coffee in funky cafes, or hitting the bustling open-air market, Melbourne’s laid-back attitude will keep you coming back for more. SIN to Melbourne flight deals are at their lowest in September with an average price of $347. Prices peak from December to January. Though mostly known for its sandy beaches and water sport activities, Phuket’s appeal also lies on its culture and heritage. The historical remains of Sino-Portuguese exchange sit at rustic shop-houses and colonial buildings in the old town. Majestic temples, scrumptious street food and unsoiled jungles make this island a well-rounded travel destination overall. The cheapest month to find Singapore to Phuket flight deals is March with prices going for as low as $102. History enthusiasts as well as urban explorers will find Ho Chi Minh City truly enjoyable. Also goes by the name of Saigon, the former capital of South Vietnam portrays a cacophony of sights and sounds, certainly unlike any other Southeast Asian cities. The motorbike-filled concrete jungle is adorned with important historical and religious sites, sprawling market stalls and exceptional offerings on authentic Vietnamese street food. Prices for Ho Chi Minh City flights peak in December and January and the cheapest month is February, where the average price deal is $126 as of January. The sunny, outdoorsy city of Perth draws visitors in for its pristine beaches, amazing green spaces and architectural wonder. The capital of Western Australia boasts its modern skyscrapers alongside a historic port city and peaceful river. Whether it’s cruising by the river or people-watching in its bohemian streets, Perth amazes visitors with culture, nature and good vibes. Prices for Perth flights peak in January and the cheapest month to find a deal is March, where the average price is $298 as of January. The megalopolis of Jakarta serves as the meeting point for Indonesians from all over the nation, in hope of a better life. Diversity in culture is ever-present here, evident in its food, cultural and religious sites as well as world-class festivals. Its colonial old town and heritage remains preserve the city’s identity, eternally frozen in time. Prices for Singapore to Jakarta flights are cheapest from February to July, where the average price is $96. 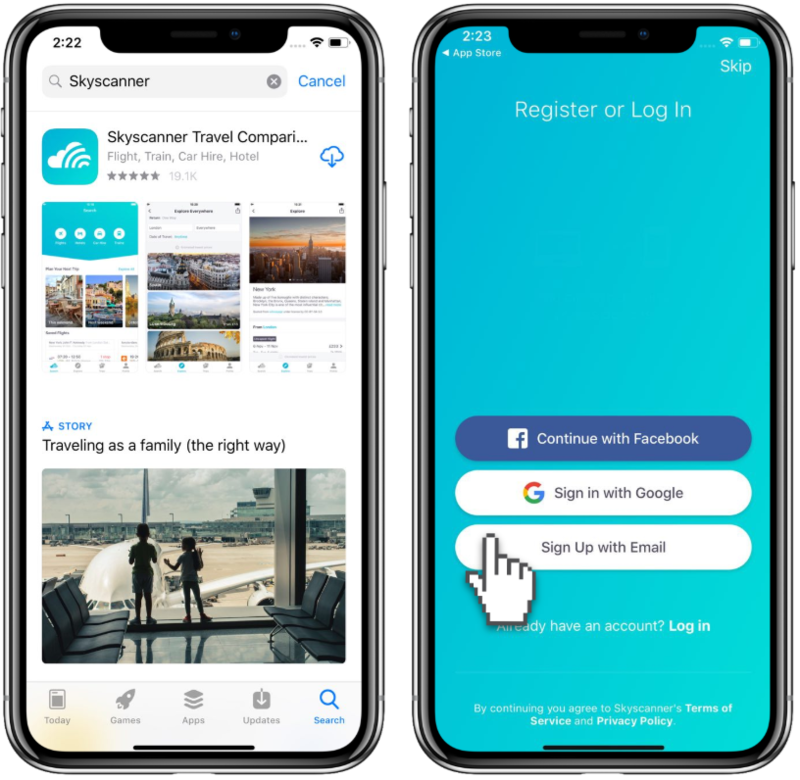 To find the best Jetstar promos, start off by downloading the Skyscanner app on iOS and Android. You can then easily login with your existing social identities. This way, you can create custom price alerts and get notified when ticket prices drop. Don’t have an account? Setup is safe, quick and hassle-free. Simply use the airline filter on the Skyscanner app to find Jetstar promotion flights. 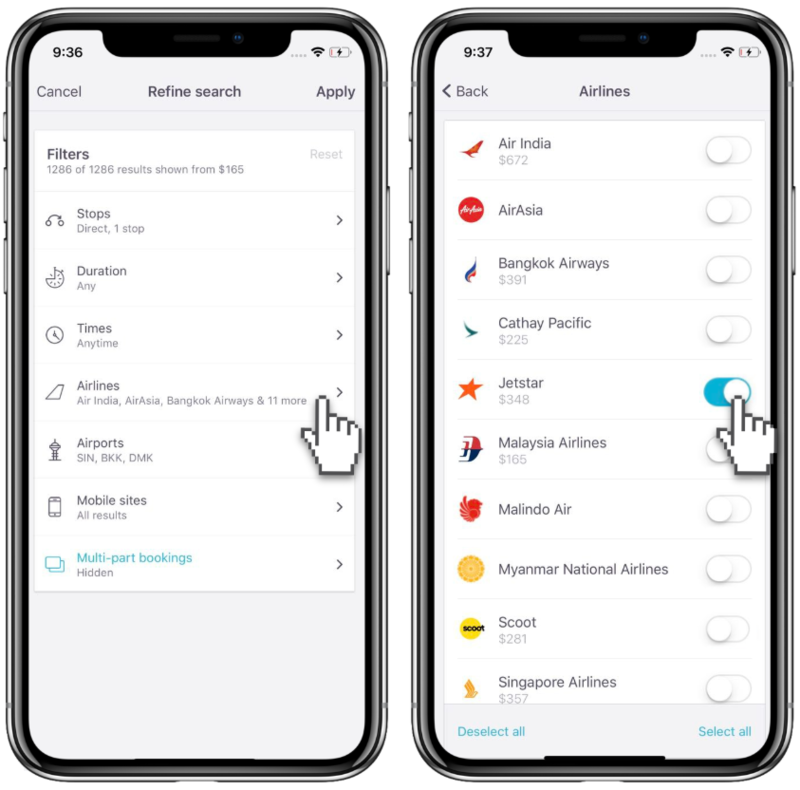 Begin by choosing your destination and dates, and then tap “Filter.” Choose Airlines, and then choose Jetstar. 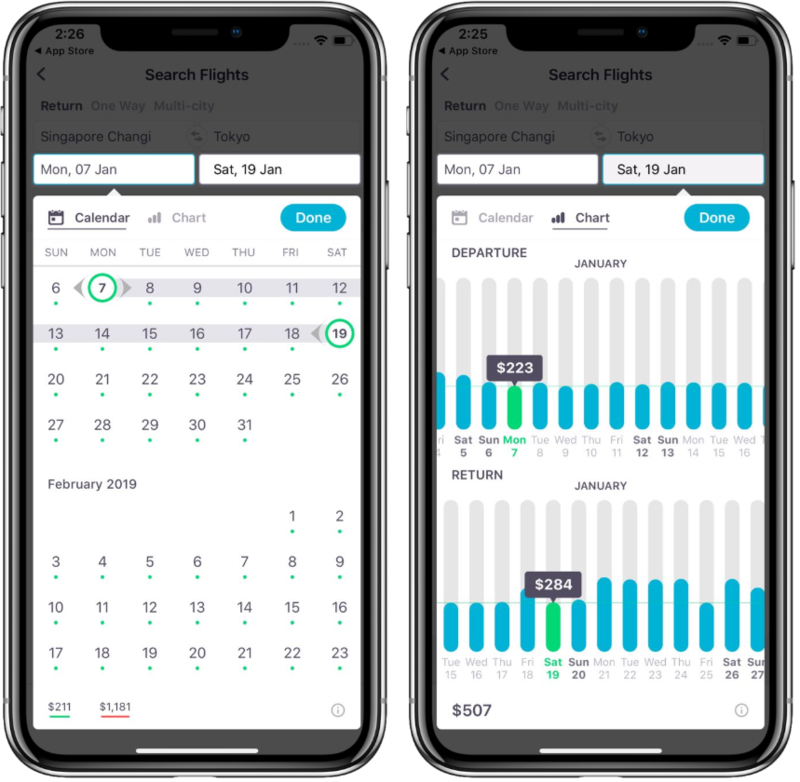 Get the most of any Jetstar promotion this 2019 by using the Calendar View on the app to quickly find which dates are the cheapest. With the Calendar View, you get an overview of when the prices rise and fall within the month. Quickly spot price drop at a glance and snag that flight! Itching for a vacation but clueless where to go? Type “Everywhere” on the ‘Explore’ tab and we’ll get you the cheapest flights to popular destinations sorted according to price. Instant travel inspiration at your fingertips! 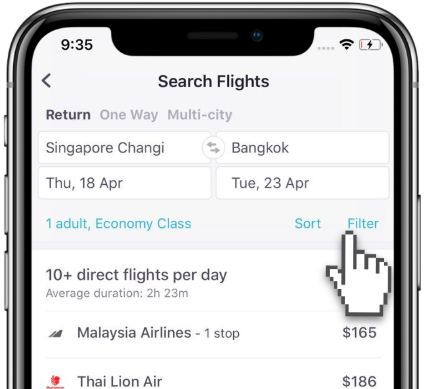 The app remembers your flight dates, so if you are looking for cheap car rentals from Singapore, everything is already filled-out for you. Just let us know what your preferred car and pickup times are and we’ll find you the perfect ride. Through the app, you can also compare hotel prices from major online travel agencies and the official hotel rates in one place. No more multiple tabs, no more confusion, just straight-up best rates! *Promo prices are available until sold out. Prices are valid as of 1 February 2019 and may not always be available. The prices shown above are accurate as of 1 February. Destination contain written by Skyscanner author Siti Salmi.